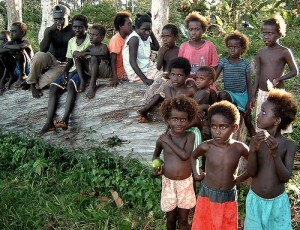 The Solomon Islands are experiencing many difficulties that affect their development. After a civil war during this past decade, the country has experienced serious economic problems, including poverty and unemployment, although growth appears to have recently picked up. In addition, the vulnerability of this archipelago to natural disasters endangers the people. In this context, the situation of children is far from ideal, and the Solomon Islands are revising their laws to recognize the fundamental rights of children. The Solomon Islands is the poorest country in the Pacific region and present human development indicators are low. The main economic activity is based on subsistence agriculture, fishing, and forest exploitation. Only a limited number of families are eligible to receive health insurance and other social insurance benefits. Similarly, only a very small proportion of the population has access to electricity, sanitation, and running water in their homes. The level of poverty is high and large numbers of children suffer the consequences. 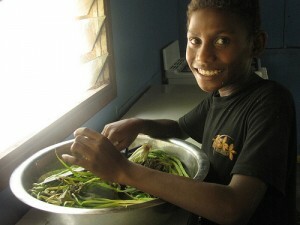 That education is not compulsory in the Solomon Islands is a problem. There has never been a fixed age for primary school admission and completion. This explains why at least 20 – 25% of school-age children are not educated and why about 30% leave school before the end of primary school. Due to the high dropout rate in primary school and the absence of a minimum age for employment, children find themselves in situations of intolerable labor exploitation. 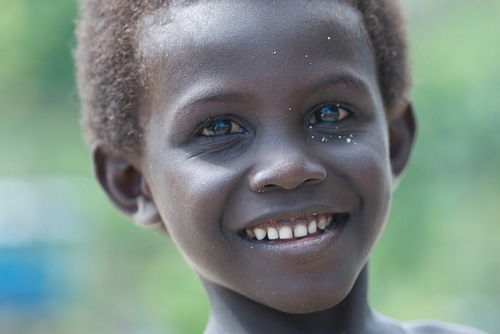 In the Solomon Islands, the number of girls enrolled in primary education remains lower than that of boys. In secondary education, girls are clearly underrepresented. The quality of teaching is also criticized because qualified teachers are scarce, and there are significant differences in the quality of education and number of children between the various islands. In 2010, the mortality rate of children under 5 years was 27%. This figure is high, although progress has been made since 1990 when the mortality rate of children under 5 years was 45%. Malnutrition is also a recurring problem; about 12% of children under the age of 5 are underweight. Due to a lack of financial resources, a number of hospitals have closed and the protection and access to care are not fully guaranteed for children. Meanwhile, adolescents remain extremely vulnerable to sexually transmitted diseases, and girls are not protected against the risk of pregnancy. There is no policy or strategy to address health problems, including the mental health of adolescents. In addition, abuse of tobacco, alcohol, and other harmful substances is widespread among young people. The minimum age of criminal responsibility is currently set at 8 years. 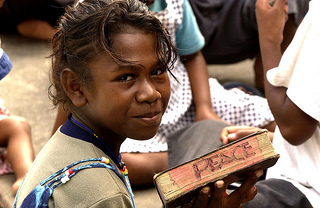 The Committee on the Rights of the Child considers that age too low and recommends that the Solomon Islands aligns the minimum age of criminal responsibility to internationally accepted standards to ensure that all children, until the age of 18, benefit from the protection of juvenile justice. Indeed, there are still no separate detention facilities for juvenile offenders, who can therefore be incarcerated with adults. In addition, the police are likely to send children or adolescents, before being charged, into pre-trial custody at the Central Prison of Rove where prisoners are also held. The minimum age for employment is considered too low, as it is possible to work from 12 years of age. Many children under 15 are working, often in very poor conditions and for long hours. This practice is widespread, and thus many children do not attend school. It is so difficult to overcome extreme poverty that many parents and families make their children work, as evidenced by the large number of young girls working as domestic servants, sometimes within the extended family. According to ILO estimates, child labor affects 24% of children between the ages of 10 to 14 years. 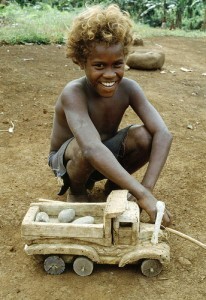 Child labor, especially in its worst forms, represents a major problem in the Solomon Islands. Children of both sexes are exposed to prostitution due to economic difficulties. No guidance is given to the police about their role in this regard, and there is no institution working for the rehabilitation of child victims. There is very little data on the number of exploited children. Women and girls continue to be frequent victims of discrimination. In particular, girls are underrepresented in school, and women are seen as inferior to men. Few of them work, as it does not give them enough responsibility. 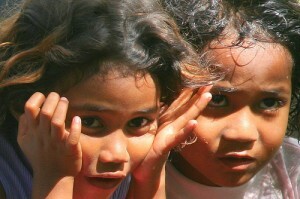 Moreover, the principle of non-discrimination is not sufficiently applied to children from ethnic minorities and economically disadvantaged households, and to those living in remote islands, born out of wedlock, or with disabilities, especially regarding their access to adequate medical facilities and schools. Corporal punishment is widely practiced within the family, schools, and other institutions such as prisons and within the structures of alternative care. The country’s laws permit such practices, and the Committee on the Rights of the Child requested that they be abolished. It is still not required to report cases of abuse, and there is no procedure for filing a complaint or accommodating an abused child or providing service to meet the child’s needs. The number of reported cases of domestic violence is also of concern. Many women suffer physical or sexual violence within their immediate or extended family, and perpetrators go unpunished. These acts of violence against the mother or other family members frequently take place in the presence of children. UNICEF reported that 37% of women reported having been abused when they were younger than 15 years old. Only in very few cases are the perpetrators of physical and sexual abuse actually arrested by the police and brought to justice. Children are forced to live on the streets where they are particularly vulnerable to sexual abuse and violence, including by the police. They are also the first victims of exploitation and are affected by substance abuse, sexually transmitted diseases, and malnutrition. There are some countries whose cultural practices run contrary to the interests of the child, and this is particularly the case in the Solomon Islands. The age of marriage is too low, as it is possible to marry at the age of 15. Moreover, as no document of birth or any other official document is required for a wedding, it can be celebrated on simple determination of the applicant’s age based on his or her physical appearance. At underage marriages, the father’s consent is preferred, which reinforces the idea already present on these islands that the father is the head of the household and that the mother has no say. 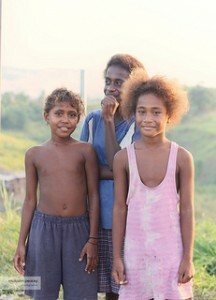 In the Solomon Islands, 3% of children are married by the age of 15 and 22% by age 18. The violence of husbands against their wives seems to be accepted in the country and poses another problem. In a survey of adolescents from between the ages of 15 to 19, over 70% believed that a husband is justified in hitting his wife under certain circumstances.